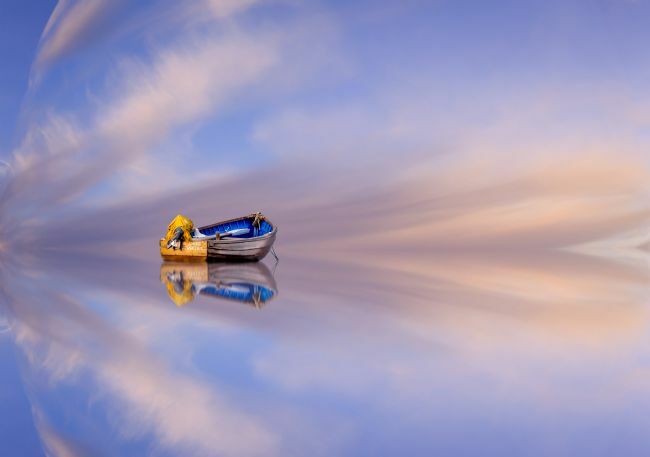 A solitary boat on calm waters. Going no where, but dreaming of the open ocean. It's hopes and dreams for the deep blue sea put on hold until a crew arrives. After climbing the 199 steps and counting them all to be sure the weary tourist is greeted with this beautiful sight, Whitby Abbey. 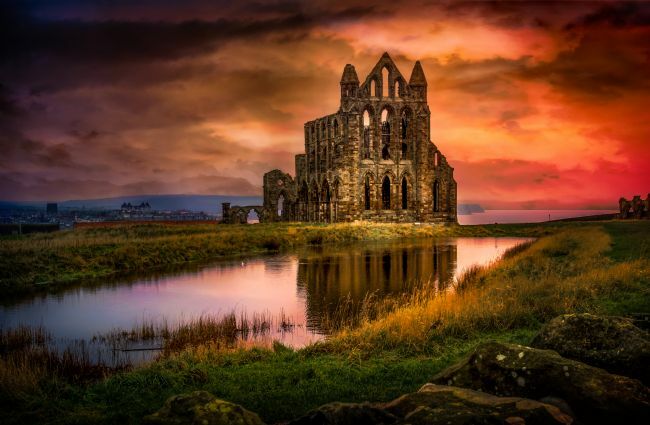 In the abbey grounds you can enjoy tea and a sandwich, or if the day is hot have an ice cream to cool yourself down before looking for Count Draculas grave. 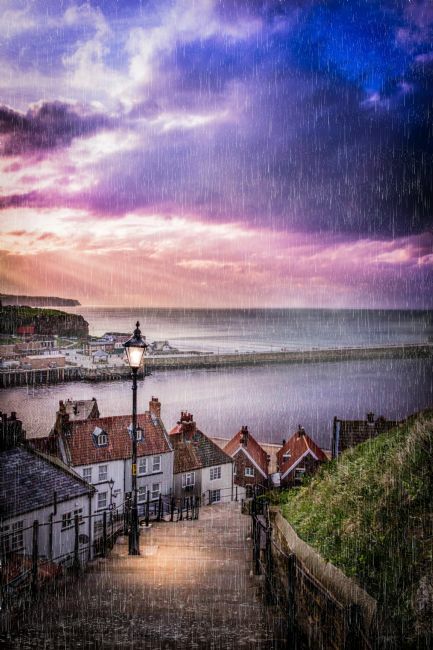 Whitby's famous 199 steps during a downpour. After climbing up the steps, the rain was a welcome relief. Cooling me down after getting rather hot from the ascent. The view from the steps is one of the most famous in Whitby and many a person stops on the steps to take this shot. 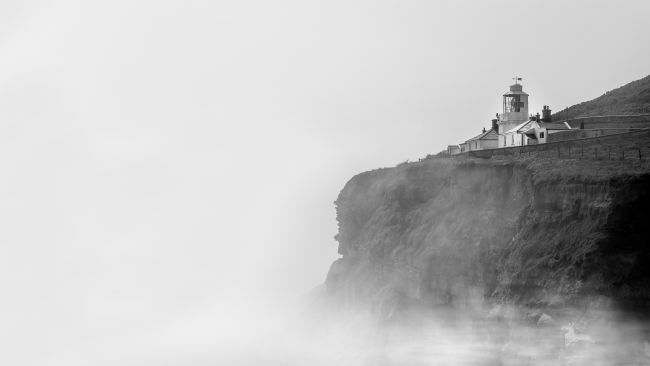 Whitby lighthouse perched at the edge of the world. Shrouded in fog it first guided ships to safety back in 1858. 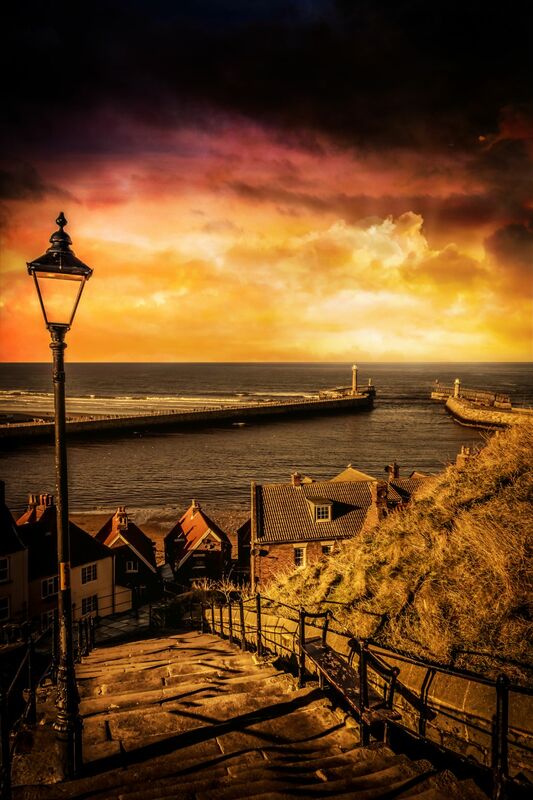 Whitby's famous 199 steps leading tourists down to the harbour below. The beach huts at Whitby after a rain. 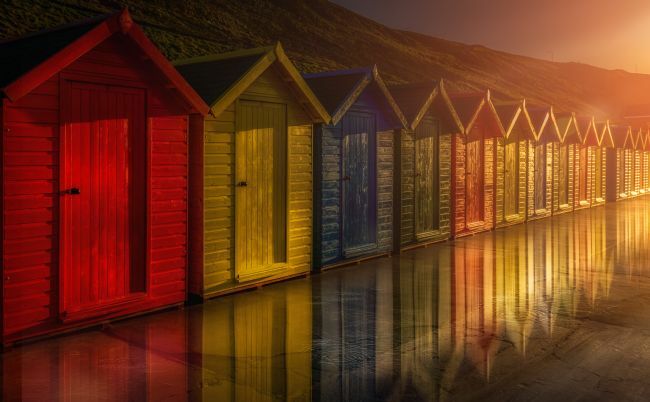 Creating a rainbow of colours along the promenade. 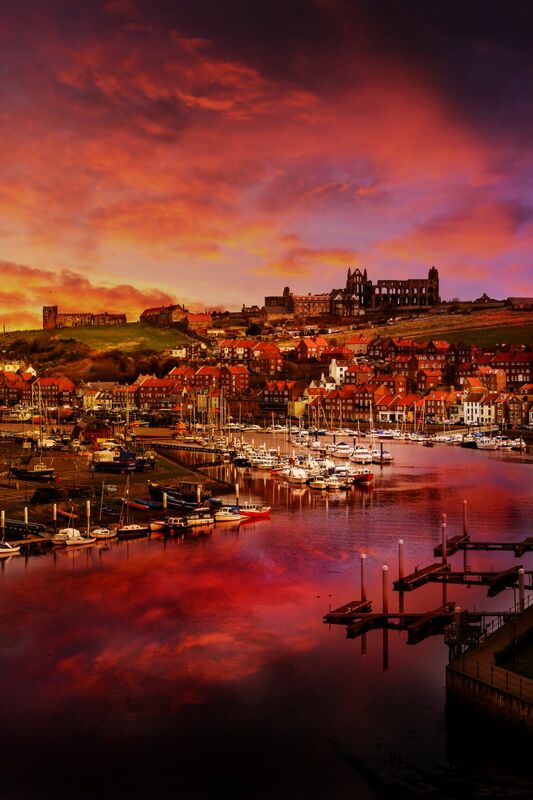 A view overlooking the seaside town of Whitby. The church of St Mary can be seen on the opposite cliff and the famous Whale bone arch in the foreground. The bones where replaced by fiberglass replicas many years ago. Looking down from the road bridge over the port of Whitby. Perched on the cliffs are the world famous Abbey and church. 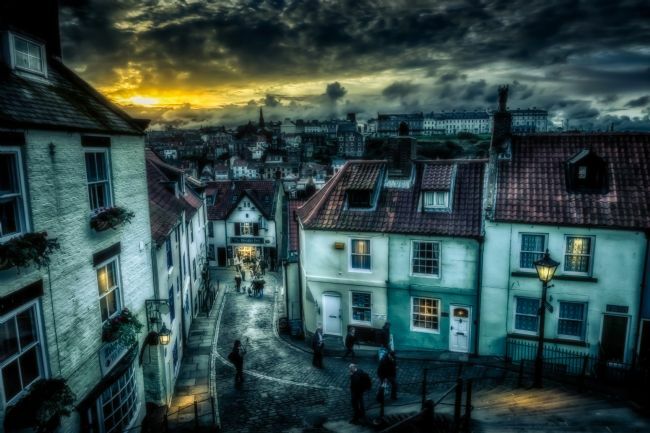 The town was made famous by Bram Stoker who wrote Dracula after being inspired by the gothic splendour of the Abbey. It is said that Dracula is buried in the graveyard of the church. As the sun goes down in Whitby a few weary tourists make their way to and from the famous 199 steps. Even though you know there's 199 steps, you can't help but count them. First to the top buys the ice creams. 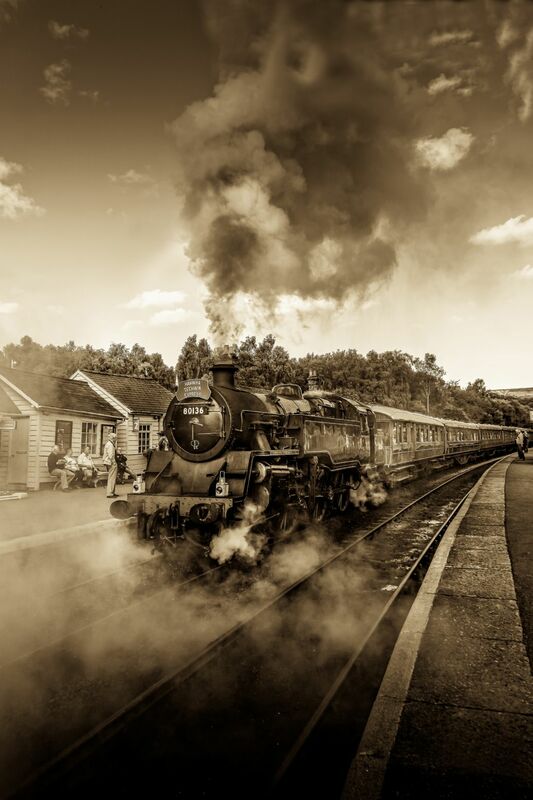 The North Yorkshire Moor Steam train speeding towards Whitby. Ferrying passengers in style to the seaside town. 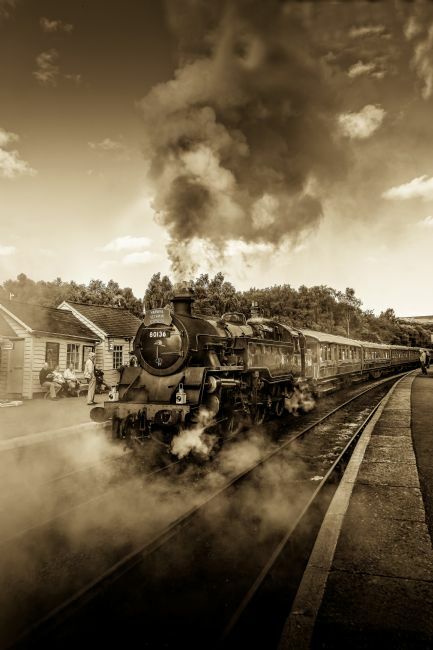 The North Yorkshire Steam train. Bound for Whitby it ferries passengers in vintage carriages giving the journey a romantic, nostalgic feel. One of the steam engines on the Whitby Line. 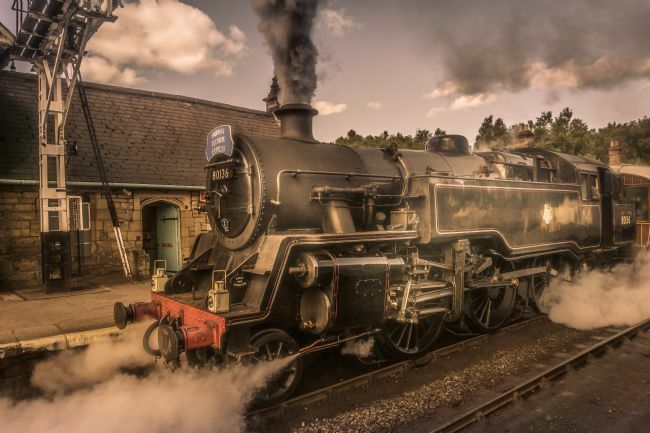 Take a nostalgic trip through the North Yorkshire Moors in style. 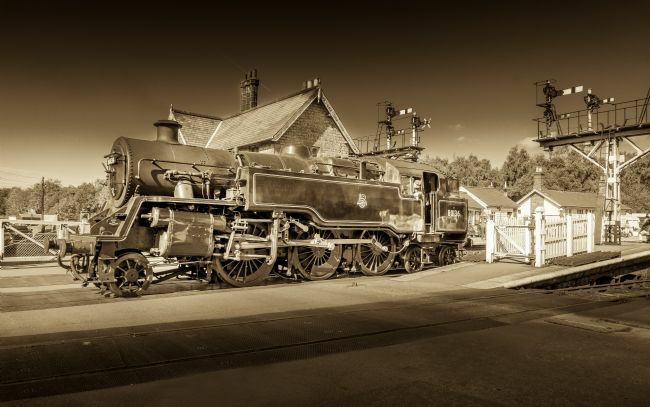 The North Yorkshire Moor heritage railway. Taking passengers to the seaside town of Whitby. Travel in style in one of the vintage carriages as it takes you to the quaint villages along the way. Nestled in a sheltered bay is the little fishing village of Runswick Bay. 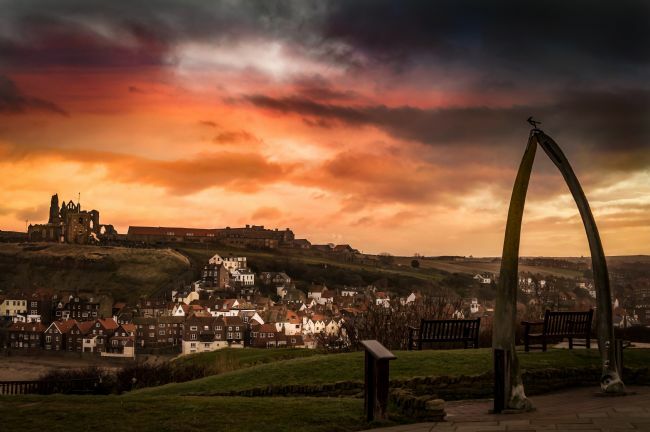 Part of the Heritage Coast it is part of a tourist route, along with Staithes, Sandsend and Whitby. 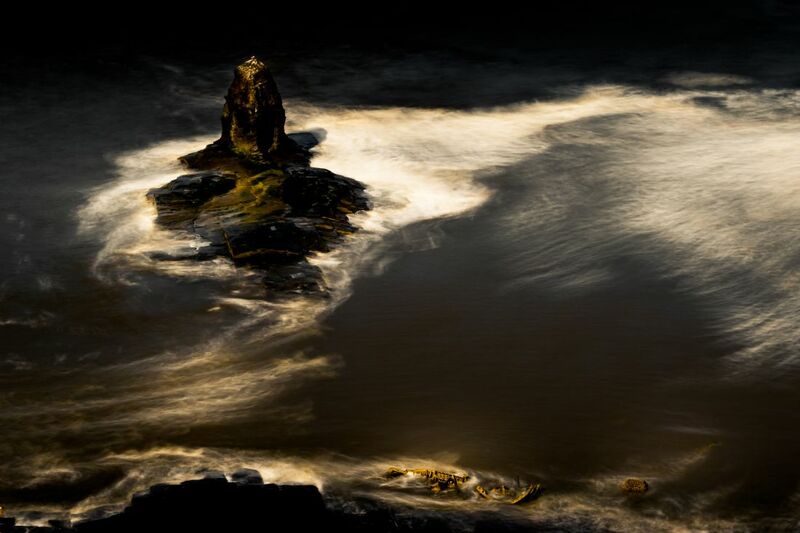 In the swirling North Sea rises the Black Nab. Like a mighty Kraken from the deep sending ships to their doom. One such ship was the Admiral Von Trump, the wreck of which is at the bottom of this picture.